Canada’s wireless industry generates increasing economic benefit for Canada, according to a new Nordicity report. 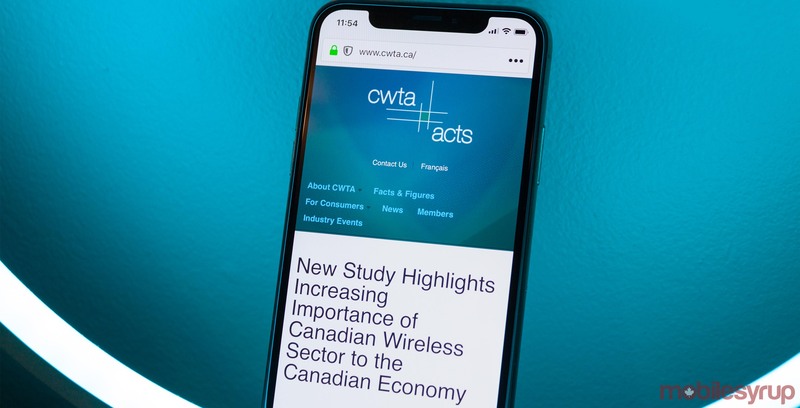 Commissioned by the Canadian Wireless Telecommunications Association (CWTA), the Nordicity report found the wireless industry had a positive impact on Canada’s GDP, jobs and capital investment. First up, Canada’s wireless industry contributed $27.5 billion to the countries GDP in 2017 — an increase of 9.1 percent over 2016. Further, the wireless sector generated 151,550 full-time equivalents (FTE) jobs in 2017 — 13,500 more FTEs than 2016. That includes direct, indirect and induced effects. Finally, Canadian facilities-based network operators made a total of $2.92 billion in capital investments to Canada’s wireless infrastructure in 2017, a 13.2 percent increase over 2016. Facilities-based network operators refer to providers who own or operate a transmission facility used to provide telecommunications services to the public for a cost. “The Nordicity report highlights the critical contribution our industry makes to the Canadian economy,” said Robert Ghiz, president and CEO of CWTA. The Nordicity report found that Canada’s facilities-based providers invested some $48 billion in wireless infrastructure between 1987 and 2017. On top of that, facilities-based providers have paid the Canadian government more than $14.1 billion in spectrum auction revenues between 1987 and 2016. The report also estimated that rolling out 5G in Canada will require $26 billion in capital investment between 2020 and 2026. Facilities-based operators will make most of that investment. Additionally, Nordicity noted that Canada’s wireless networks have the world’s second-best download speeds, based on data from Ookla’s February 2019 Speedtest Global Index. Our downloads are 158 percent than the global average, and 95 percent faster than the U.S. Finally, 99 percent of Canadians have access to LTE networks, and 92 percent of Canadians have access to LTE-advanced (LTE-A) networks, according to the CRTC’s 2018 Communications Monitoring Report.